Kona has always been a progressive bike company in terms of design and specification. 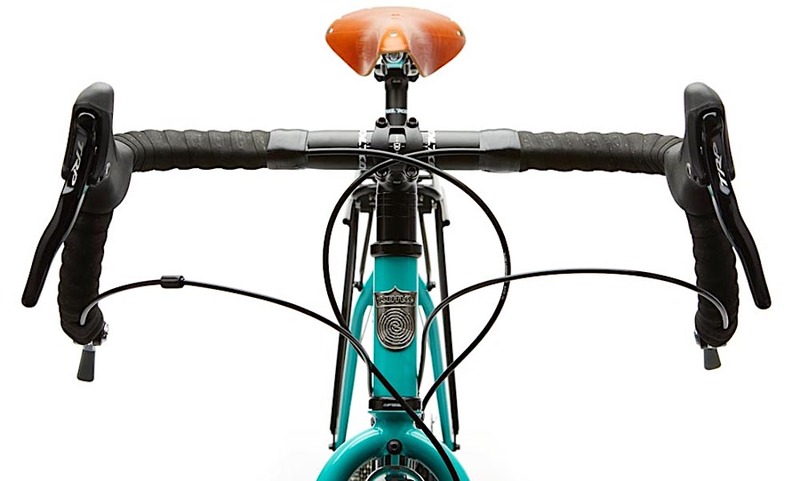 Whether it’s playing with the steering speed, developing a progressive size range, adding small frame details or simply fitting parts that people like – Kona tend to keep tabs on the market and innovate regularly. 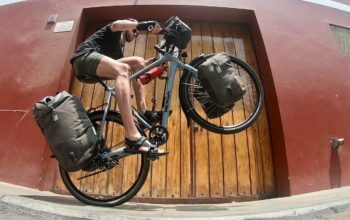 The 2019 Kona Sutra and Sutra LTD have received a raft of changes for the next product year. 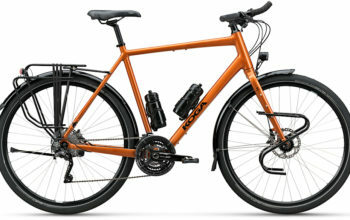 The new 2019 Kona Sutra touring bike. The big news for this model year is a new frameset for the Sutra. Well, it’s not quite new – it’s just now the same frame as the Sutra LTD. 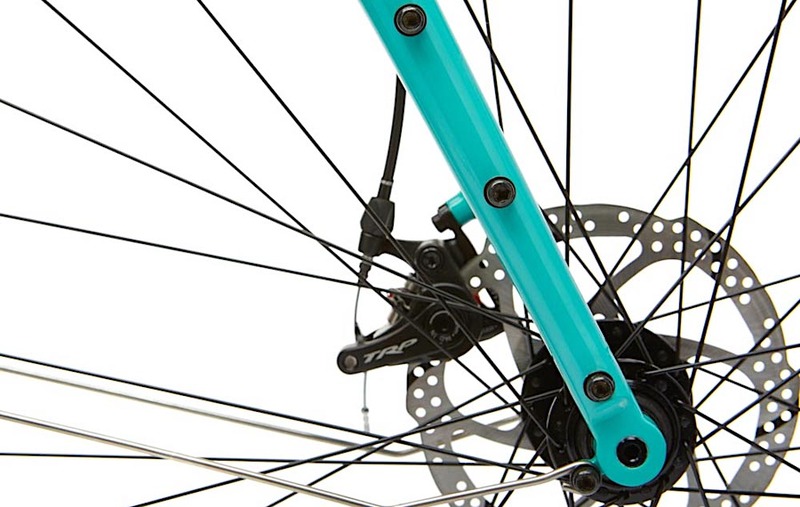 This means the Sutra features 12mm thru axles front and rear (100mm and 142mm), as well as flat mount disc brakes and bidon mounts on either side of the fork. 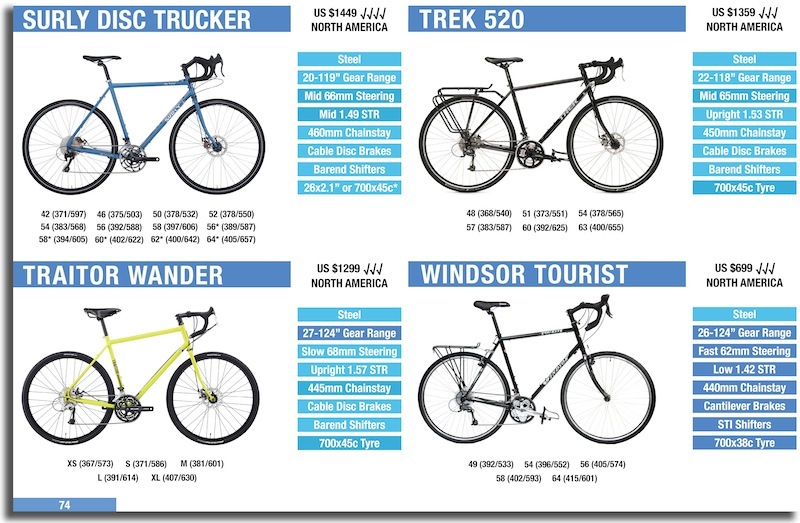 Are these changes good for a dedicated long distance touring bike? That’s up for debate. Thru axles of this size are certainly common on modern disc brake road bikes in developed regions of the world. The biggest benefits here are that your wheels always sit perfectly flush in the dropouts, and that the axles rarely loosen themselves. But getting a replacement hub in Africa, Central Asia or South America will likely require getting it shipped in. I personally don’t find this a problem as I find that good quality gear needs to be shipped in any way, but some might find it offputting. 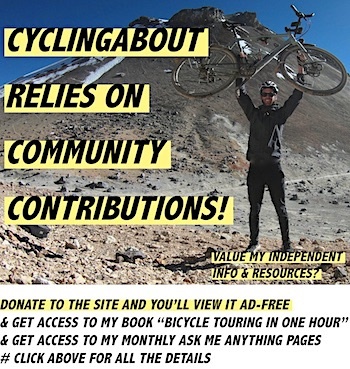 It’s worth noting that the Formula hubs spec’d with the bike are quite unlikely to fail. 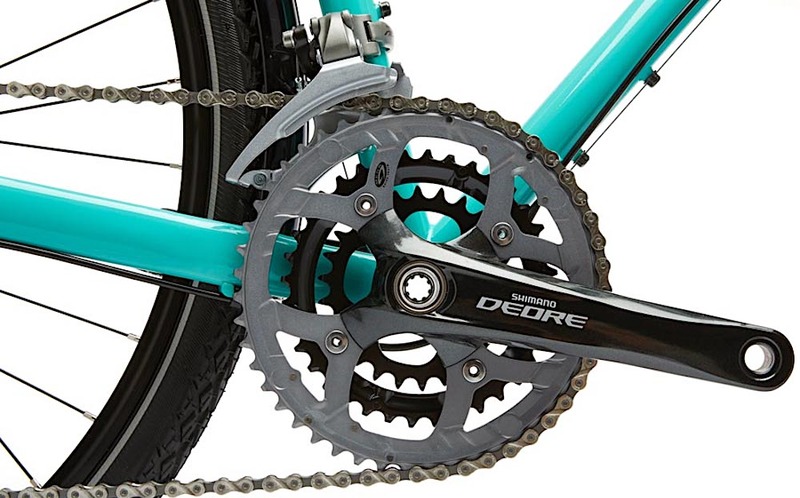 The Sutra uses a Shimano Deore crankset with 48-36-26t chainrings. 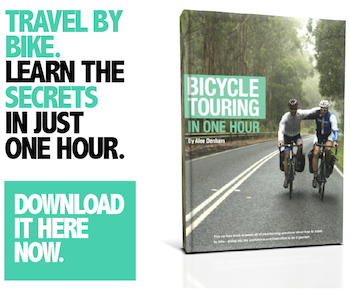 This provides a gear range of 21-119″ – good enough for most hills and certainly enough gears for the flat. Should you need smaller gear ratios, you can easily switch out the chainrings to size 44-32-22t to make this a climbing machine (this is an upgrade I would make as I love cycling in the mountains). 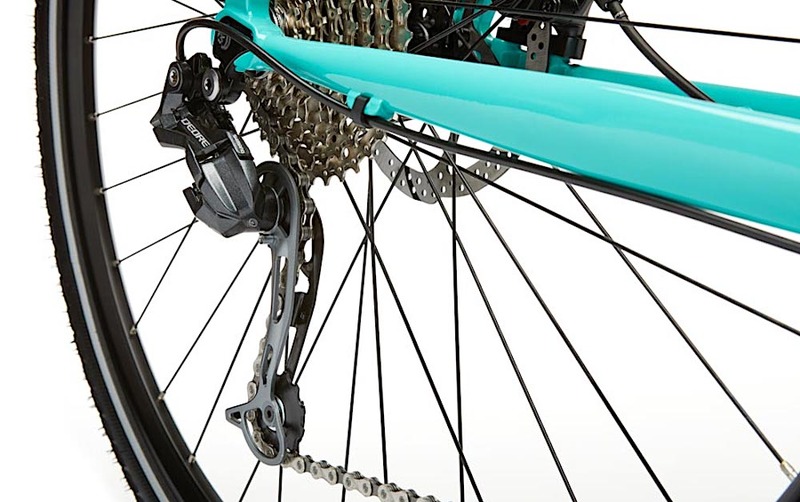 Kona spec’d a 9-speed drivetrain (27 gears) with the Sutra. It’s still easier to find 9-speed stuff in developing countries, although these parts are actually becoming harder to find in developed countries. 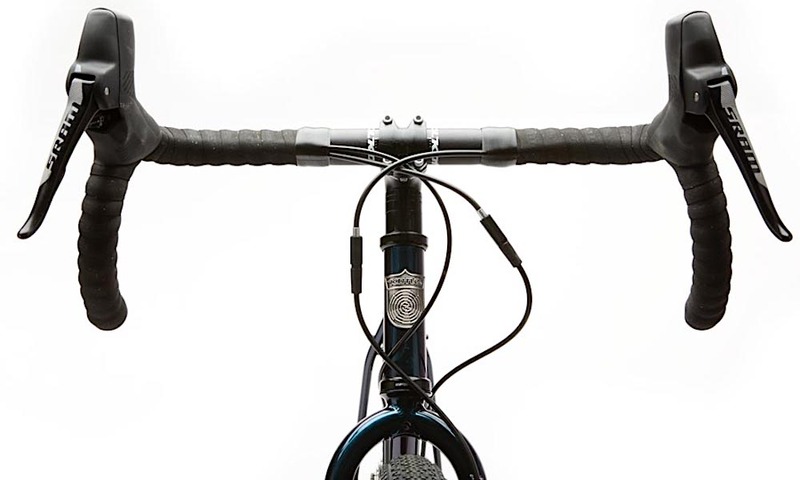 A full-length cable outer keeps the inner shifting cables crisp even when exposed to water and grime. 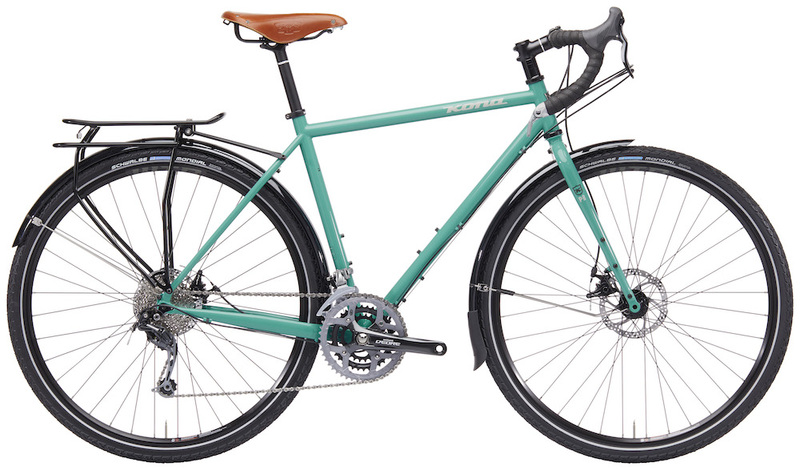 The Sutra frame accommodates 29×2.2″ (700x55c) tyres due to the slightly wider bottom bracket shell than the outgoing model. 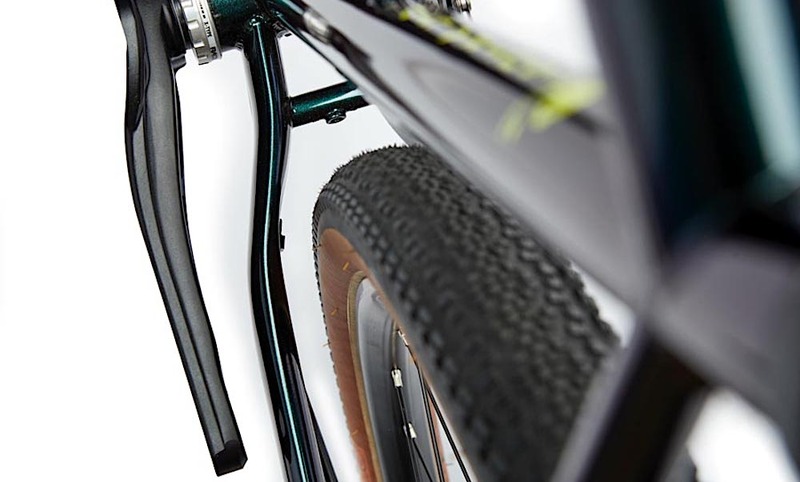 There’s not a lot of space past 700x40c if you use the stock fenders, however, I can see 700x45c rubber fitting with a wider/flatter fender profile. 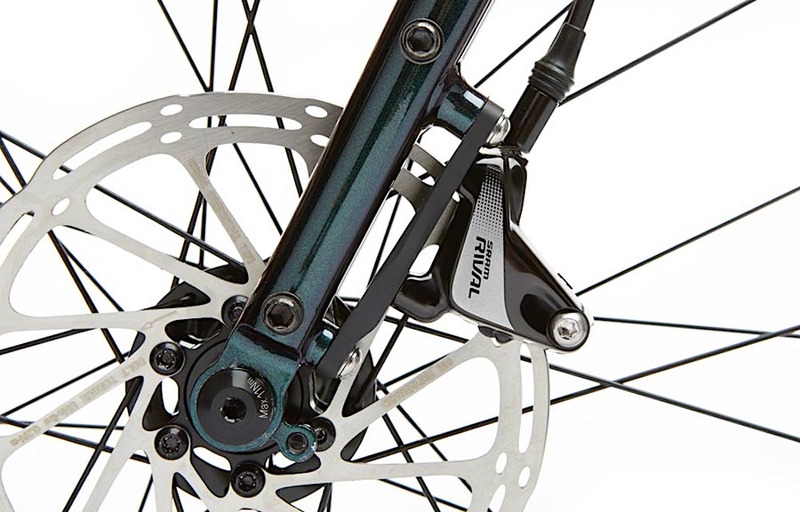 There are ‘flat mount’ disc brakes with the new frameset which are another common disc road bike standard. The calipers themselves have been upgraded to the excellent TRP Sypres, which are renowned for being some of the best available. These brakes operate by pulling both pads in at the same time like a hydraulic caliper (most cable disc calipers pull one-sided). The handlebars are slightly flared on the Sutra to suit road touring. At the ends of the bars are some rock solid Shimano barend shifters which should outlast the next ice age. 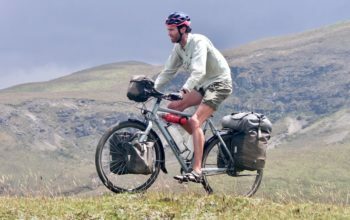 Kona has fitted the classic Brooks B17 saddle to the Sutra for the last couple of years which is certainly a favourite amongst long distance bike travellers. 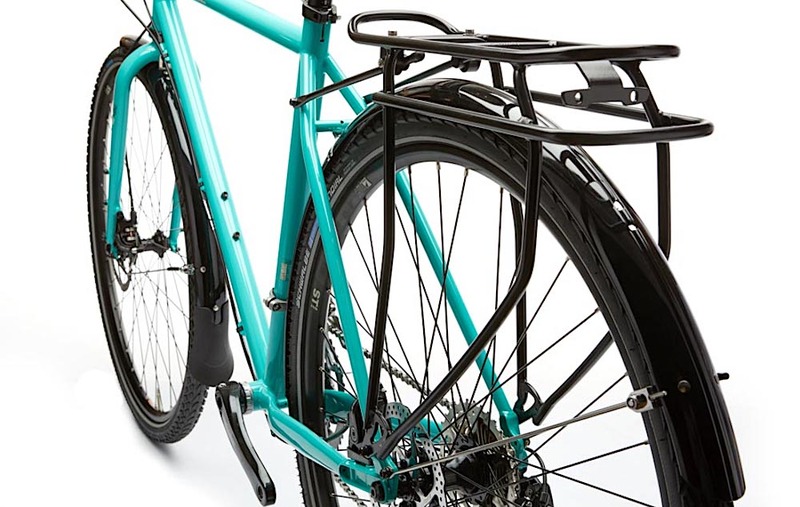 The 2019 Kona Sutra features bidon mounts (NOT 3-boss) on either side of the fork to give you the option of fitting Problem Solvers Bowtie Strap Anchors or Blackburn Outpost cargo cages, in lieu of panniers. 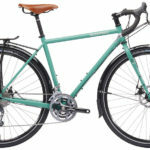 The fork will still fit standard front racks like the Tubus Duo (a favourite of mine) or Tubus Tara – it’s quite versatile. With a rear rack and fenders fitted as standard, the Sutra is almost ready to tour straight out of the bike shop. Just add pedals and a front rack if you need it, and you’re good to go. You’ll find the Sutra for US $1499. 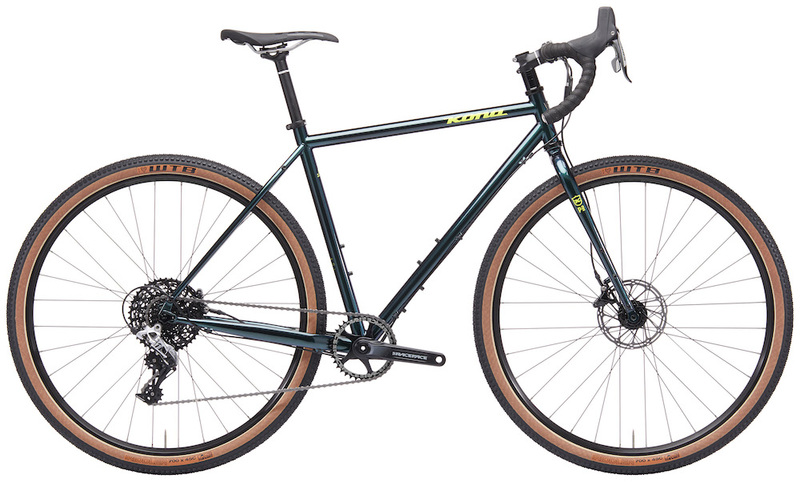 The 2019 Kona Sutra LTD. The LTD is relatively unchanged from the previous model year. A new lick of paint and a set of WTB Riddler tyres round out the changes. It’s still worth going over the features of the 2019 Kona Sutra LTD in any case. 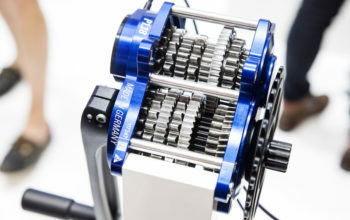 The drivetrain is a SRAM Rival 1×11 setup with a wide range 10-42t cassette. 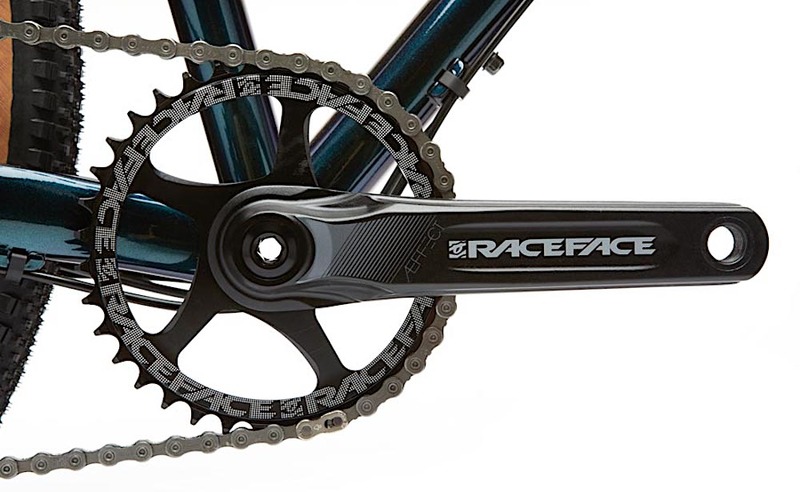 With the 36 tooth front chainring, this yields a 25 to 104″ gear range, a little high for off-road touring really, but ok on flatter terrain. Switching the front chainring out to a 30 or 32t will likely be necessary if you like big mountain roads like me. 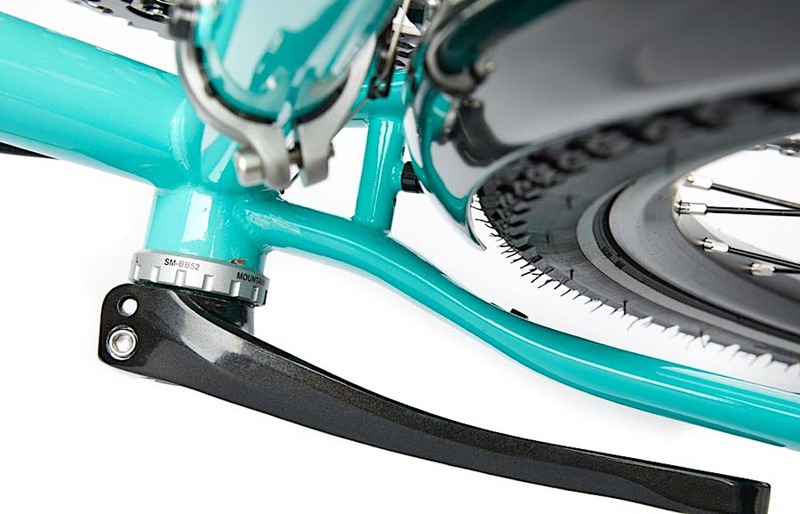 Like the standard Sutra, the LTD also has tyre clearance for 29×2.2″ without fenders. Word on the street is that 27.5×2.6″ tyres squeeze in too. 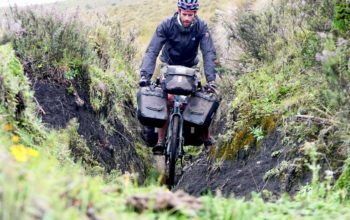 You will need to be careful when using tyres this wide because they have a significantly reduced ability to shed any sticky mud. The LTD employs a wider and more flared handlebar (16-degrees) than the standard Sutra model to provide additional steering leverage for the off-road stuff. If you’re spending the majority of your time on rough trails, I’d suggest going even wider with any of these alt handlebars. 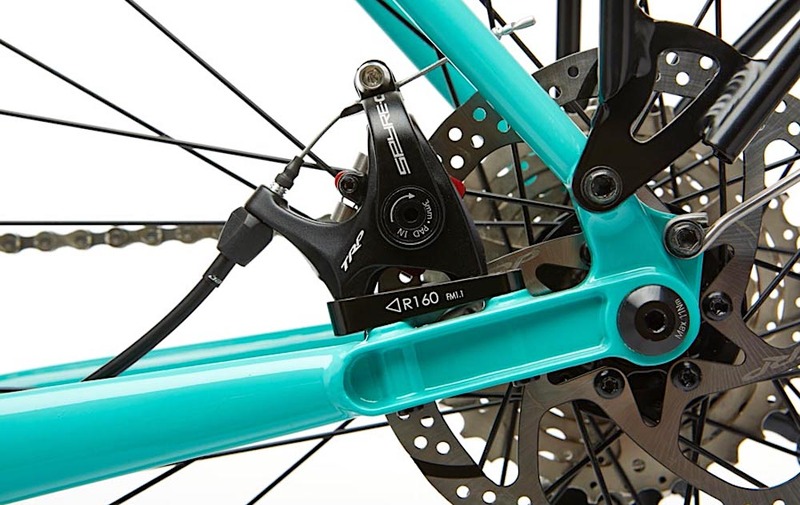 Hydraulic SRAM disc brakes pull the 2019 Kona Sutra LTD up on a dime. They’re the kind of brakes you can set and forget once they’re bedded in. The price of the 2019 Kona Sutra LTD is US $2099.